Having established himself at the forefront of global progressive music, Steven Wilson won't rest on the success of Porcupine Tree if sonic borders remain to be breached. But first he has to find a way to signal past the noise, in a world where too many choices often send listeners screaming for the exits. Steven Wilson remains, as ever, a busy man. Having established himself at the forefront of global progressive music over the past 20 years, Wilson -- whose diverse career spans microambient to pop -- has earned the right to explore whatever musical tangent he chooses. Even with the massive success of his most popular band, Porcupine Tree, he has never ceased exploring the non-prog aspects of his oeuvre. Whether it’s the computer drones of Bass Communion’s Molotov and Haze or the entire IEM catalogue, like a great musical explorer he continues to seek borders to traverse, refusing to confine himself to mere prog-rock repetition. This much can be seen on his first solo LP, Insurgentes. 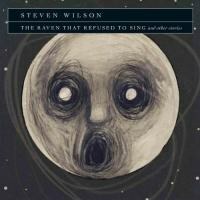 Coming off of Porcupine Tree’s concept album masterpiece Fear of a Blank Planet, Wilson undoubtably rode an incredible popularity high; upon Insurgentes’ announcement, many speculated that it might be even more progressive than his other work, hearkening back to the prog-metal of In Absentia. What resulted, however, was an insanely brilliant hodgepodge of ideas which had been gestating throughout the entirety of his career. Widescreen epics like “Salvaging” give way to the psychedelic ambience of “Veneno Para Las Hadas.” The glorious post-punk of “Significant Other” is followed up two tracks later with a dark classical interlude, “Twilight Coda”. The record, made in the style of a road album, was made in studios all across the world, spanning Japan to Wilson’s native United Kingdom. With Grace for Drowning, released three years later, Wilson changed the game yet again, turning the clock back from the ‘80s influences on Insurgentes to the avant-jazz of the ‘70s, while also incorporating his penchant for dark, cinematic moods. Tracks like the 23-minute jazz epic “Raider II”, while fitting in organically with shorter pieces like the gorgeous “Deform to Form a Star”, showed a new side to Wilson. Though in the past he distanced himself from the “guitar hero” mentality attributed to so many prog guitarists, with “Raider II” he was writing material that puts anything Dream Theater wrote in the past five year to shame, a considerable feat for a guy who at one time admitted he didn’t know the names of all the chords he played. This technically daunting aspect of his sonic has now blown up full-hog with The Raven that Refused to Sing (and other stories), his third solo LP for the K-Scope label. Embracing elements of fusion jazz and the tech-y prog that Porcupine Tree has stayed away from, it’s an album that expands on what “Raider II” hinted at: a much more improvisational, loosey-goosey performer. Wilson, a well-documented perfectionist (he is in high demand as a record producer) has, with the grace of a skilled jazz musician, dived headfirst into that dangerous, uncharted water of band-heavy improvisation. All of the music on The Raven that Refused to Sing was written specifically for the musicians he had toured with on the Grace for Drowning tour, who he had come to realize were exactly the type of musicians he wanted to perform his solo music with. This group includes Guthrie Govan (guitar), Nick Beggs (bass and Chapman stick), Adam Holzman (keyboards), Marco Minnemann (drums and other percussion), and longtime collaborator Theo Travis (flute, saxophone, and clarinet). Together they form a group as tightly knit as the progressive rock scene has witnessed in some time, though it’s not at all surprising; with a veteran like Wilson at the helm, these already proficient musicians are given the opportunity to expand their limber fingers into further musical realms. In light of all that, Wilson sat down to talk with PopMatters regarding the the follies of fusion jazz, “The Golden Era” of progressive rock, and the lofty and often unrealistic expectations fans have for progressive artists in his vein. PopMatters: The Raven that Refused to Sing is the most band-oriented release you’ve been a part of. What’s it been like performing it live with these musicians? Steven Wilson: It’s been wonderful. The whole thing about putting this group together was to have a group that could harness the spiritually improvisational aspects of jazz music and be able to combine that with the kind of rock sensibility I already had in my music. To create something that would be fresh from night to night. That’s one of the things I really missed in pretty much all of the music I’ve ever made. The music I really loved when I was a kid had a lot of improvisation and a lot of the jazz sensibility to it, but back then I wasn’t capable of doing that for myself. With most of the musicians I’ve worked with over the years, that wasn’t their style either. But now I’m in a position where I can work with these guys (Govan, Beggs, Holzman, Minnemann, and Travis) and change it up every night. Every time one of us steps up to take a solo, it’s a new conversation. All of that makes the delight of the performance side unpredictable, exciting, exhilarating, and a lot more inspiring for me than other performances have been for me in many years. Because you wrote the album for specific musicians, did you feel yourself limited compositionally? No, quite the contrary, actually. One of the things I found working on this album was that I knew the capabilities of the musicians involved, and in a way that enabled me to write music at a higher level than I’d ever written before, in terms of the technical ability required to play it. So, say before I’d been able to imagine in my mind some music, but it would be very difficult for me to realize it in practical terms. Now I was in a situation where I knew exactly what these guys could do and could imagine the music they could play. From there I could somehow translate it to them. But also I think your statement is partially right. Insurgentes and Grace for Drowning were both records that were not trying in any way to have a central identity. They are quite sprawling and eclectic; Grace for Drowning had everything from piano ballads to choral pieces to long jazz pieces. I think this record is more cohesive because it has a more limited scope and a more cohesive band sound. Perhaps that’s why it’s been so much better received; it’s easier for people to enjoy the whole thing as a piece rather than as a confusing journey, shall we say. This is some of the most technically proficient music you’ve ever written. In the past you’ve mentioned not being in on all the nuts and bolts of music theory. When you were writing these songs, did the advanced level of the music pose unique challenges? Well, it didn’t present challenges for the band; for them, it was easy. [Laughs] Anything I threw at them was easy. That’s a great feeling to have, that anything you throw at these guys is going to be a cinch for them to play. So the only challenge -- or bottleneck, if you like -- is what I could imagine for them, or how I could adapt my existing creative approach to musicians like this. There was a bit of a question mark there at first as to how I would exactly do that, but part of that process was solved by the fact that I had already toured extensively with the musicians, playing the material from Grace for Drowning and Insurgentes. I already knew how I could harness that kind of ability within the context of my own writing and my own music. It wasn’t as much of a daunting challenge as it might have been otherwise. You mentioned the soloing aspect of jazz music. Do you feel as a performer that you now need to show off more? I’m not a fan of technique for technique’s sake. I don’t really like the whole “shredder” mentality where people just play fast for the sake of it. But at the same time, I like music which is challenging and works on different levels, and if you can find a balance between great musicianship, composition, and making the pieces sound natural rather than contrived, then that’s a really special thing. That’s the difference between John Coltrane or Miles Davis and the very banal, technically proficient fusion jazz. The musicianship involved may be just as complex and just as advanced, but one of them is still very much in service to the spirituality and beauty of the music, and the other is not; it simply becomes about a display of technique for the sake of technique. Being someone who has a sort of inborn aversion to the latter, I act as a kind of filter to the musicians. I’m kind of guiding the ship to hopefully express the beauty, the sentiment, the darkness, the anger, or whatever it is I’m trying to portray through the music. In the past you’ve talked about how fusion jazz groups tend write music that only appeals to other musicians. How have you prevented that style from getting into the music of The Raven? It really just comes from the natural filters you have as a creative person; you operate on what sounds good to you. I loathe jazz fusion. There’s a difference for me between "jazz fusion" and jazz … fusion, you know? Yeah, and jazz fusion now has become a blueprint, in much the same way “progressive” has become a blueprint, not unlike the way that hip-hop and pop have. All these things end up becoming blueprints to be copied and imitated. But, there is something about the fusion of jazz music and rock music, as opposed to jazz fusion, that makes it probably one of the most influential kinds of approaches to me. For both directions, I think of the influence of jazz on rock music in the early ‘70s; I think of bands like King Crimson, Soft Machine, and Jethro Tull. Then, on the other hand, I think of the influence of rock musicians on jazz music with guys like Miles Davis and the Mahavishnu Orchestra. That is all very special music to me. This is not music about technical proficiency; it’s about texture and atmosphere, which is what I like. So, to answer your question, I avoided falling into that trap because I don’t like that stuff. When I hear it, I stop people from doing it; it’s a natural impulse. I steer them in a different direction if I feel that’s starting to happen. Also in the past, you’ve distanced much of your work from the “prog” label -- and rightly so -- due to the stature you’ve attained as a prog icon; people just expect you to play prog. Did you ever see yourself go as intensely “prog” as you did on The Raven when you started making solo records? However, none of those bands ever called themselves progressive or anything like that. I think “progressive” is something we’ve retrospectively attached to that generation of musicians, to kind of lump them all together. But for me, when I was listening to those bands, Pink Floyd could not sound any more different to King Crimson, who could not be more different to Soft Machine, who could not be more different to Yes or Genesis. We lump them all together because of this certain sensibility they have, which is this idea of the album as a musical continuum, as a musical journey. There’s a certain level of musicianship that perhaps didn’t exist before that. There’s an ambition and a certain willingness to perhaps risk being accused of being pretentious or overreaching, which I think is a good thing -- I wish more music was ambitious and overreaching -- so for all these reasons, we lump these bands together. So there are references [on The Raven] back to those bands on this record, although I hope it still sounds like a very contemporary record. But as to the question if I imagined myself doing this, I never imagined myself doing anything much more than one or two projects into the future. What I do know is that the work I’ve done over the last three or four years remixing catalogues of bands like Crimson and Tull has brought me back closer to my memory of listening to and growing up with this music, the music that first inspired me to be a musician. It was always these bands, who we now refer to as “progressive rock” bands. There is a sense of me going back into my past and embracing all that a little bit more. At the same time, connect that with the fact that I’ve become very tired and very bored with the heavy metal vocabulary, which has been a big part of my music over the last ten years, particularly with the last four Porcupine Tree albums. From that I’ve been looking for another kind of musical palette, and I was then brought back to the sounds of these bands: the Mellotron, the Fender Rhodes, the acoustic guitars, the harmony vocals, the woodwinds—a more organic musical palette. When talking about this time period before, you’ve attributed the demise of this “Golden Era” to the rise of punk in the late ‘70’s and the growing fame of MTV in the early ‘80’s. In retrospect, do you think there are any other reasons why this era would have passed? There is sense now that we’ve reached the end of a path in terms of what is potentially possible to do with the pop or rock music form in terms of innovating and breaking boundaries. Another “Golden Period” for me sort of began in the mid-to-late ‘60’s with Pet Sounds,Sgt. Pepper’s, and Revolver, and it kind of ended as recently as the mid ‘90’s, with the explosion of electronic music following from the late ‘80’s and early ‘90’s. Since then, music has been more nostalgia-based. There are very few barriers are left to be broken, and very few hybrids to be created between different forms of music. And that was one of the things that kept music going for awhile: we had hybrids of metal and hip-hop, country and pop, all those other sorts of things. Most hybrids now have been tried by somebody -- successfully or otherwise -- and most extremes have been visited, as in the case of Japanese noise music, pure bubblegum pop, drone music, and death metal. All the experimentation has largely been done. The ability for someone to who didn’t experience the ‘70’s generation, like myself, to go back and hear all the Crimson stuff -- which people in the past might not have had access to -- is indeed enormous. As a contemporary artist, do you find this daunting, now that everyone can compare what you do to the past, or do you feel more liberated in that you have access to a huge resource of music? Well, I’ve always had access. I was a very curious person, even when I was very young, when I was discovering music that was pretty difficult to find. I grew up in the ‘80s, and most of this music we’re talking about was virtually invisible in the mainstream, going right through to the ‘90s. It only began to resurface in the mainstream relatively recently. Curiosity was something that drove me to discover the so-called progressive bands, krautrock, and avant-classical music, which I listened to as a teenager. All of this stuff makes up my musical world. There were very, very few artists active when I was growing up that really excited me the way the bands from the past were doing. There were a few—it was always exciting to see what Kate Bush was doing, what Talk Talk was doing, what Scott Walker was doing—but they were relatively rare events. Most of the really inspiring stuff was in the past. Nowadays, as you suggest, it’s much easier for people to discover all of that music. So I suppose the reference points are more obvious. When you give your album to the world and a fifteen year old kid hears it, now it’s quite easy for him to go check out those reference points, whereas pre-internet it would sound like the most fresh thing in the world. This all goes back to speak to the idea of retro-futurism, that the past is now always in the present, eternally present. I think we just have to accept that now it’s all about trying to imbue music with personality and give it some feeling of freshness, at least. I would have loved to have been around in the seventies, to be honest. I would have loved to have been doing this then, when it would have been perceived as something more innovative and revolutionary, but, you know, you can’t choose when you live, huh? From all of the touring experience you’ve gathered through your various projects, do you find expectations from the audience differ in Europe and the United Kingdom as opposed to the United States? No, not really. I think audience expectation generally goes up, and up, and up because, similar to what we were just talking about, part of the problem now is that we live in a world where there is obviously too much music. Far too much music. There are so many people making music in the current moment, and part of the reason for that -- and this is a positive thing, too, of course -- is that it’s very easy now to create music to a fairly high standard with a home studio and a computer. A lot of people are doing it. But the problem with that is now there are ten billion bands on the internet, and no one listens to any of them. It gets to the point where there is so much music available to you that you almost run screaming in the opposite direction. You run back to the things you know, your Led Zeppelins and your Beatles. There’s an increasing trend for that, particularly for the older fans, who find it hard to sort out what’s worth listening to and what isn’t from new music. They tend to back, time and time again, to the old classics, and perhaps rightly so. I think the same is true of the live circuit, too. There are so many bands out there on the road now, because you can’t make money from releasing a record. Bands now basically have to tour. Now there’s a massive amount of competition every night of the week in every major city to get people to come to your show and sell tickets. It’s hard to stand out. One of the ways I’ve found to try and address that is by doing something special with multi-media. In my show, we have quadraphonic sound systems, we have films and projections, and various other visual elements to really try and make it feel like a real kind of event. Expectations of the audiences will continue to go up, and you have to jump through more and more hoops to make people feel like they’ve had a good evening out and will want to come back next time. I saw you at the first solo show of your US West Coast tour at the Showbox in Seattle, when you were touring Grace for Drowning. It was interesting to see how the tone of the Grace for Drowning changed the way the Insurgentes material was played. Has The Raven changed the way you play your first two solo LPs? Yeah, of course. That’s one of the things about this band. Whatever this band plays will have their personality stamped on it, and I embrace that. I feel that making Insurgentes and Grace for Drowning was a way to give me repertoire in order to then do what I’m doing now, which is to play that repertoire with the band and then take it to the next stage. And in that sense the repertoire has to be quite fluid and open for interpretation. For example, we play the title track of Insurgentes now on tour; it’s a piano ballad on the record and it’s still a piano ballad live, but it develops into something which has a lot more band interplay, too. I like the fact that material is fluid and evolving into other areas; I certainly embrace that.